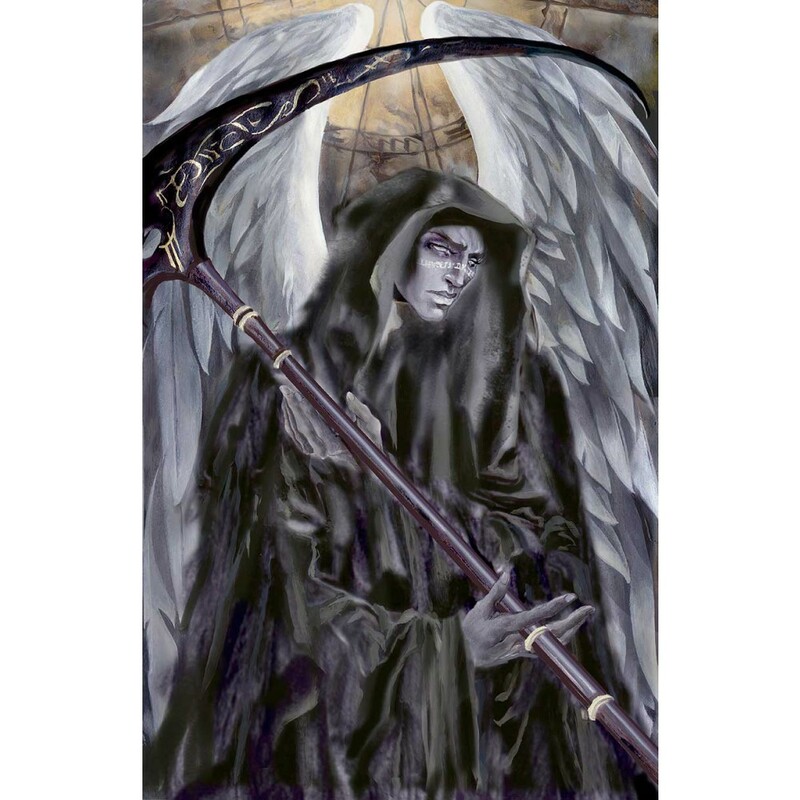 Azriel is my Angel of Death and Change. Open Edition print. This is an adapted piece I did for the Book of Angels for Barnes & Noble. Azriel is actually an Archangel of peace and journeys. He acts as a psychopomp, one who escorts souls through death and to their respective Afterlife.